HEMP CALM BISCUITS - Sit. Stay. Forever. All-natural organic biscuits for calming and overall wellness. 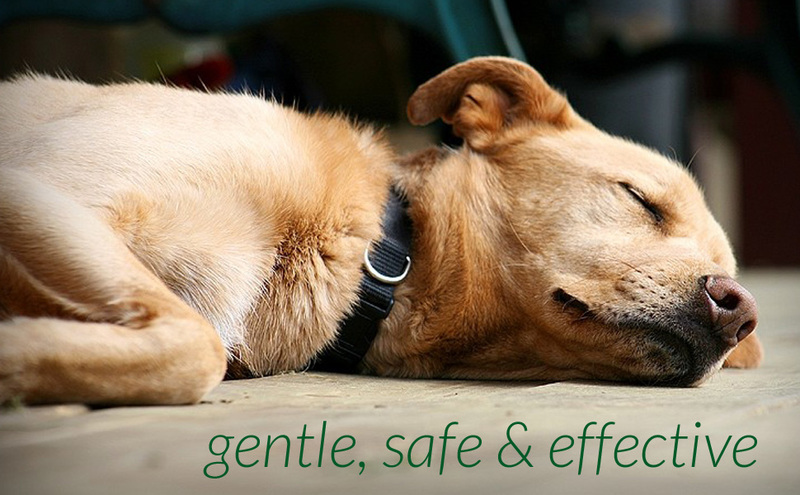 Our unique combination of the earth's most calming AND SAFEST natural ingredients help your dog find relief and composure with anxiety, stress of separation, storms, trips to the groomer, travel, barking and whining. 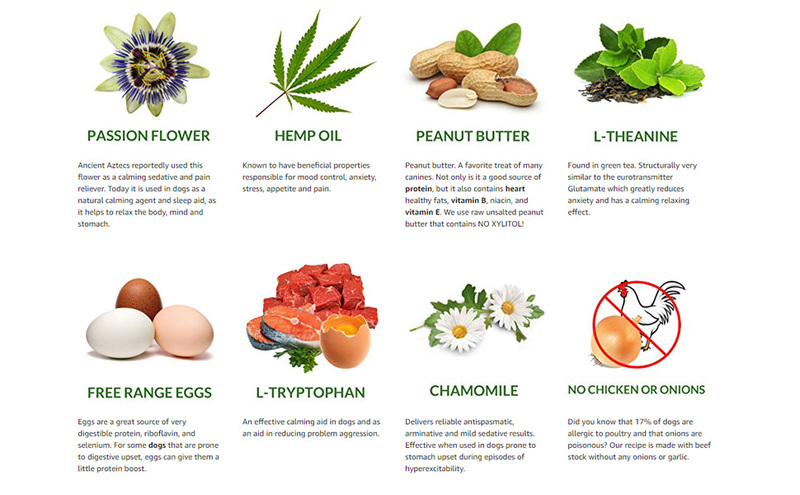 Hemp oil also contains the perfect ratio of Omega-6 (linoleic acid) to Omega-3 (alpha linolenic acid) fatty acids. These are essential fatty acids, meaning your dog can't produce them and needs to get them in their diet. Easy to administer as dogs love the natural, peanut buttery flavor. NON Habit forming, no harmful side effects when used as directed. PLEASE MONITOR YOUR PET WHEN FIRST GIVING ANY TYPE OF SUPPLEMENTATION. INACTIVE Ingredients: (Organic, Gluten - Free, No Wheat, Corn or Soy) finely ground potato rice flour, organic eggs, organic non GMO peanut butter (no xylitol), organic beef broth, organic celery, sea salt, mushroom powder, carrot juice and turmeric. This is a natural product with a large amount of oils. This product is not intended to treat, diagnose, prevent, or cure diseases. All-natural organic biscuits for calming and overall wellness. 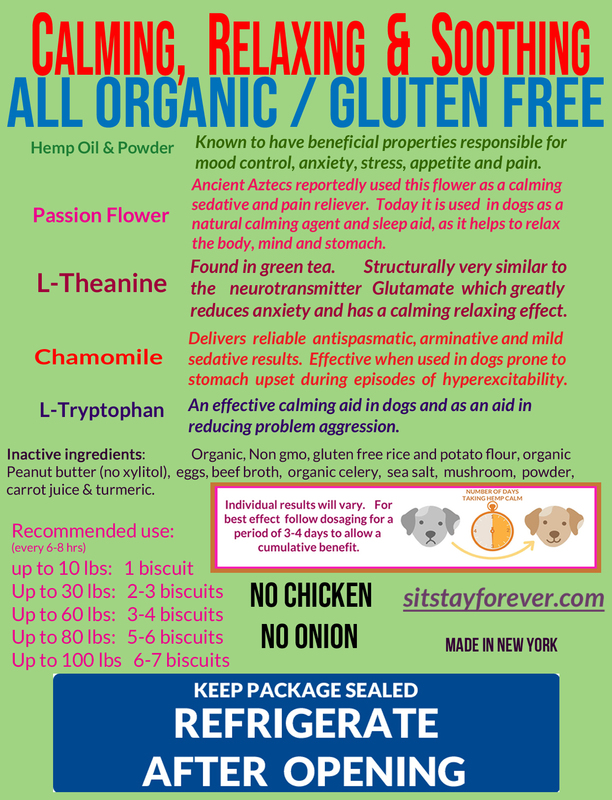 Our unique combination of the earth's most calming AND SAFEST natural ingredients help your dog find relief and composure with anxiety, stress of separation, storms, trips to the groomer, travel, barking and whining.